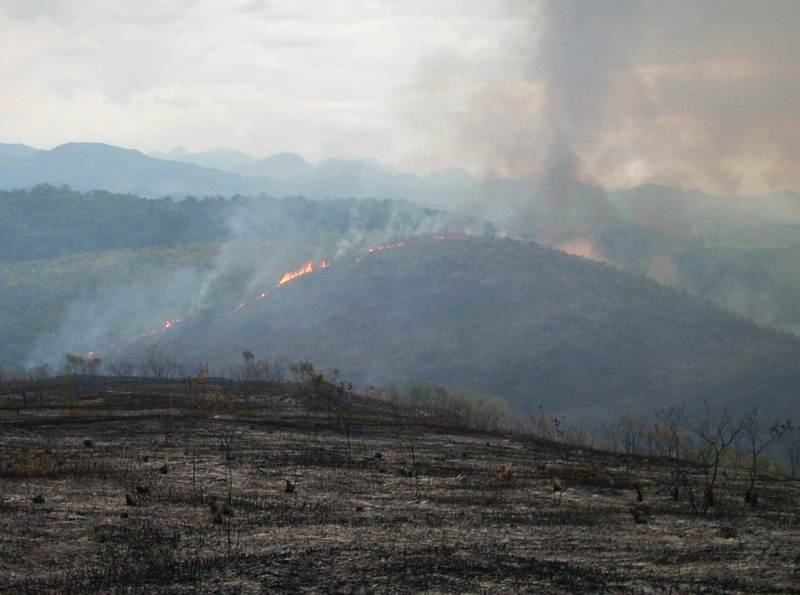 For years, “slash-and-burn” techniques were used to clear Brazil’s massive Atlantic Forest. Although the large-scale burning was halted in 1973, the black carbon left behind from those forest fires is still draining into the area’s rivers and eventually into the ocean. For the first time, a team of scientists, including Aron Stubbins from the Skidaway Institute of Oceanography, has studied this carbon outflow and produced estimates of the amount of black carbon being introduced to the ocean. Their study has been published in the August issue of Nature Geoscience. Stubbins was one of seven co-authors of the paper. Thorsten Dittmar from the Max Planck Research Group for Marine Geochemistry in Oldenburg, Germany, and Eduardo de Rezende from the Universidade Estadual do Norte Fluminense in Rio de Janeiro, Brazil were the lead authors. Humans have used fire extensively as a tool to shape the Earth’s vegetation. Brazil’s Atlantic Forest once covered 1.3 million square kilometers and was one of the largest tropical forest ecosystems on Earth. Because of the extensive burning for land-clearing, the forest has been reduced to less than ten percent of its original size. The research team estimated that prior to 1973, the burning of the Atlantic Forest generated as much of 500 million tons of black carbon. The burned plant material initially sits on the ground or is absorbed into the soil, but eventually it is carried away by rainfall drainage into creeks, rivers, and, eventually, the ocean. One river in the area carries 2,700 tons of dissolved black carbon to the ocean annually. What is not known is the fate of the dissolved carbon once it reaches the ocean. Black carbon is thought to be very slow to decay in the oceans. So the black carbon entering the oceans maybe accumulating as a carbon store that locks carbon away from the atmosphere for hundreds if not thousands of years. Its influence on marine life is also unknown at present. The article can be viewed at: www.nature.com/ngeo/journal/vaop/ncurrent/full/ngeo1541.html. 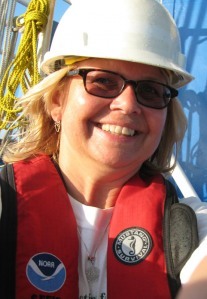 One of the participants in NOAA’s Teacher at Sea program spent some time on board the R/V Savannah this summer. Her blog makes for some interesting reading and nice description of life on a science research vessel. You can read her blog here. Skidaway Institute had an unexpected visitor this morning. 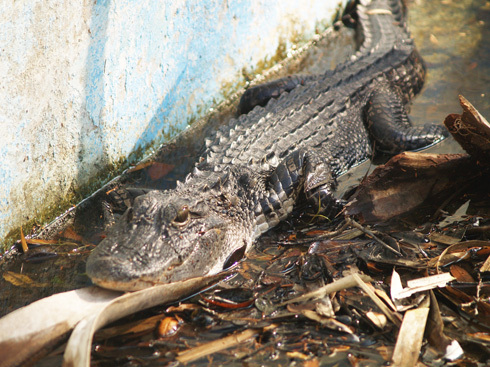 This guy showed up in the old Roebling swimming pool. We’re not sure how he got there. He probably fell in while out looking for a midnight snack. The walls are around seven feet high, and there’s only a couple of inches of water in the bottom, so he is stuck. We are calling someone to “rescue” him. No one around here want’s to volunteer. Smart.